Sweetbard Cottage is a delightful 3 storey cottage. It was formerly a cobbler's shop, dating back to 1824 and is situated right in the very heart of Brighton. On entering the property, you'll come into the entrance hall which has parquet flooring, a chandelier and is decorated with historic photos of Brighton. The interiors throughout this cottage are unique and quirky. The cottage sleeps up to 12 people in 3 bedrooms; 2 doubles, a triple bedroom, 1 double sofa beds, 2 single folding guest beds, and 1 single foam chair. The large living room has a quaint bay window. 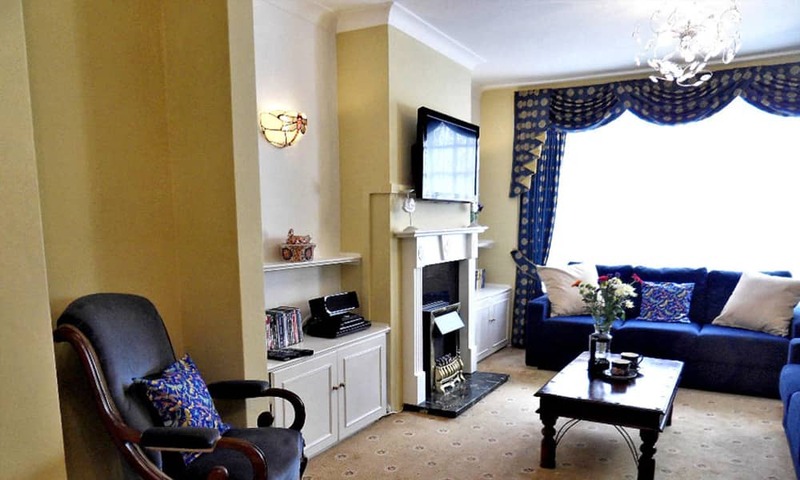 There are 2 large sofas, one which converts to a double sofa bed and a flat screen TV with DVD player, plus an i-Pod dock and wireless broadband. The conservatory dining room overlooks the rear garden and has a table and chairs which will extend to seat 10. 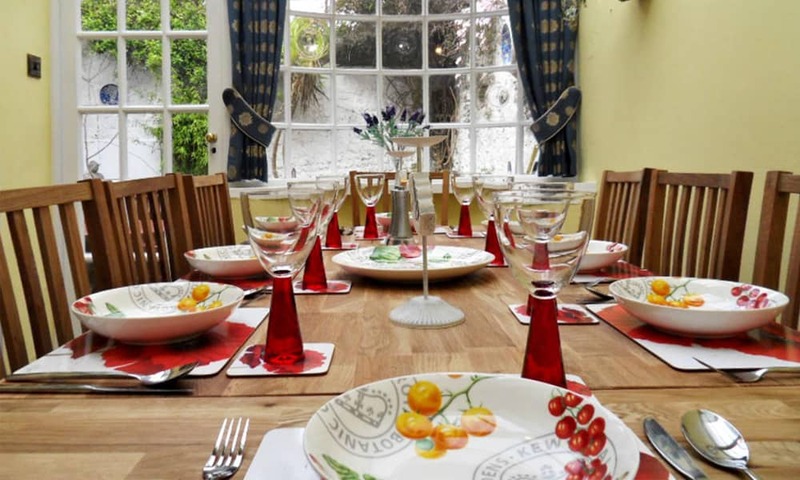 The kitchen is located off the conservatory dining room and is fully equipped for your stay with oven, slimline dishwasher, fridge freezer, washing maching and microwave. 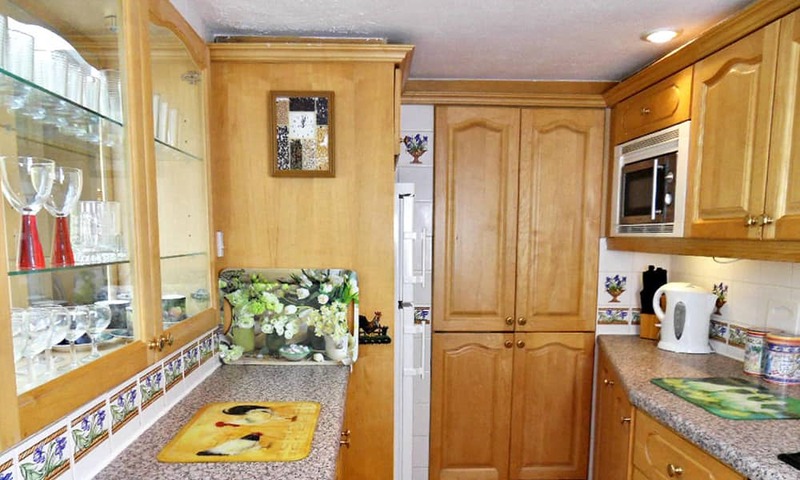 This double bedroom has built in wardrobes plus an en-suite shower room with W.C. and wash basin. There is a charming Juliet balcony off this room. Please note: the balcony is decorative only. 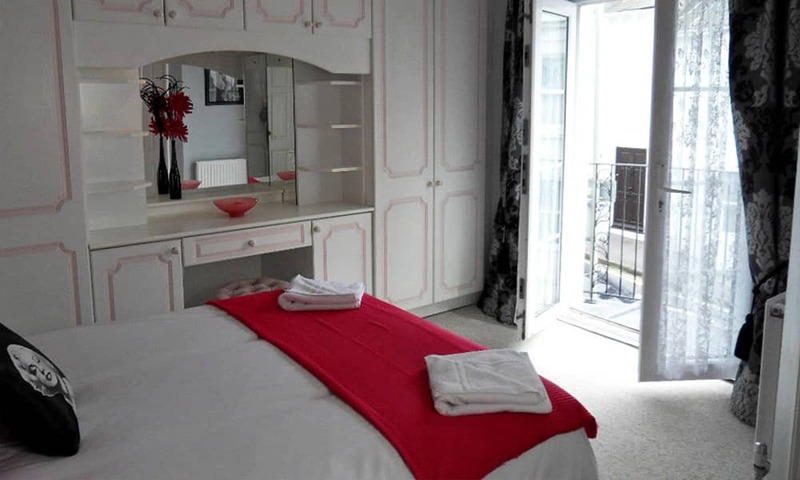 A double bedroom with built-in wardrobes and vanity sink, which overlooks the garden. This large attic bedroom is accessed via a narrow, steep staircase hidden behind the landing door. It has windows on either side giving great views over the city. There is a double bed with single pull out bed plus 2 folding guest beds and built-in wardrobes for all your belongings. The master bathroom has a corner whirlpool bath, large walk-in shower, W.C. and vanity unit. Bedroom 1 has an en-suite shower room. There is also a ground floor cloakroom with W.C. and hand basin. 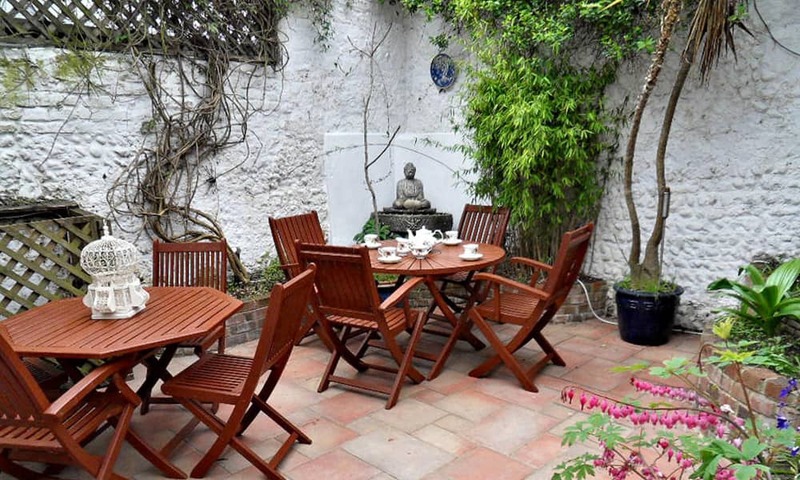 The house has a lovely high walled rear patio garden with 2 tables and seating for 8. The house is over 3 floors. The stairs up to the attic bedroom are steep and narrow. Not suitable for those with mobility issues.